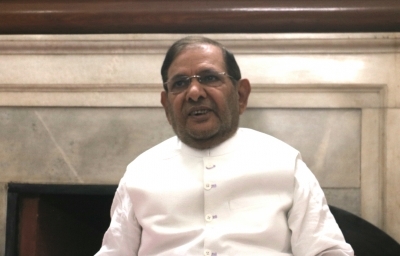 New Delhi, July 31 (IANS) Breaking his silence on the JD-U’s tie-up with the BJP in Bihar, Janata Dal-United leader Sharad Yadav on Monday described it as “unfortunate” and said he did not agree with the decision taken by Bihar Chief Minister Nitish Kumar. “I don’t agree with the decision in Bihar. It is unfortunate,” Yadav told reporters outside Parliament. “The mandate of the people (in Bihar in 2015) was not for this,” the Rajya Sabha member said on Nitish Kumar’s decision to break the JD-U’s alliance with the Grand Alliance of the RJD and the Congress in the state. 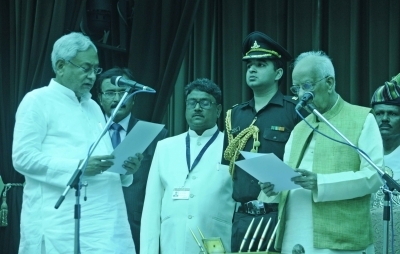 After the unexpected break-up, Nitish Kumar aligned again with the Bharatiya Janata Party and formed a coalition government on July 27. The decision had apparently upset Sharad Yadav, a former President of the JD-U who reportedly complained to party colleagues that Nitish Kumar did not consult him before deciding to embrace the BJP.